The Disney Traditions Little Mermaid Ariel with Flounder Statue is part of Jim Shore's Fun with Friends collection. The series features enchanting Disney Princesses along with their beloved diminutive pals. 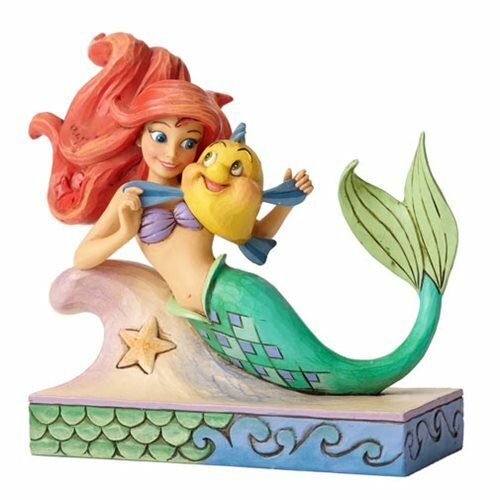 The Disney Traditions Little Mermaid Ariel with Flounder Statue shows Ariel frolicking with Flounder in this delightful stone resin statue from the classic film The Little Mermaid. The statue measures about 5 3/4-inches long x 5 1/4-inches tall x 3 1/4-inches wide. Ages 13 and up.